This guide: Best Management Practice Guide Using Compost for Sport Pitch Renovation in Ireland within a Sustainable Sport Pitch Maintenance & Management System was produced by Limerick Clare Kerry Regional Waste Management Unit, with Limerick City Council and Limerick County Council and with assistance from rx3. 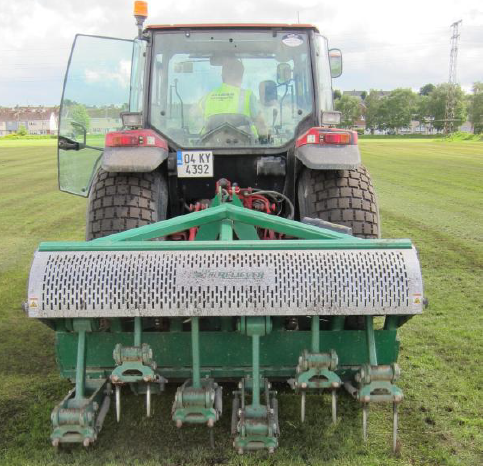 The guide shows how to use compost as a topdressing for the renovation of sport pitches in Ireland and explain how to integrate it into a overall management programme in order to maintain sport pitches to the highest possible standard. PDF, 8 pages, 1.2MB.